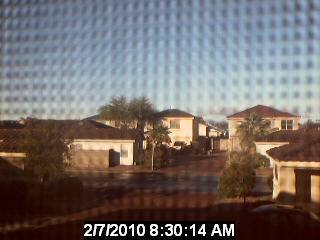 This webcam is located in Jeff's house in the Cooper Commons neighborhood in southern Chandler, Arizona. If pointing out the window, you will be looking west. Otherwise, you will see images of the computer room in the house, and may catch glimpses of Jeff or the cat.